After a good night’s sleep, I was up early and raring to go the morning of the TriAbility. 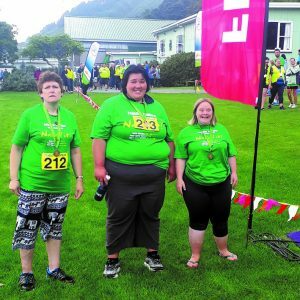 My mum took me, Allyson, Stacey and Wendy over to Wainuiomata where we met up with all the other competitors and got our t-shirts and our race numbers. 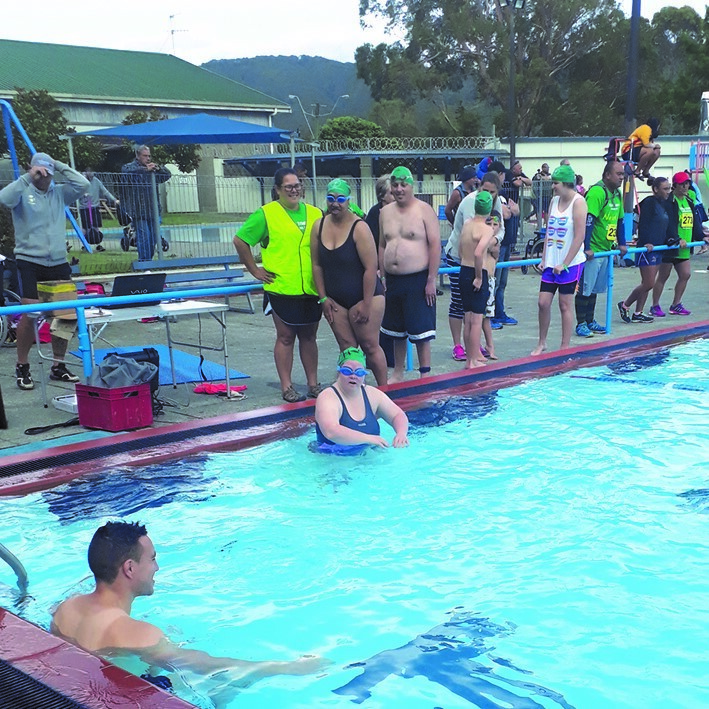 I then went to do the warm up with the rest of the group of swimmers before hopping in the pool. I had to swim 300 meters. My mum and Wendy were on the side of pool supporting me and encouraging me throughout my whole swim. I completed my swim in 13 minutes, which was a faster time than the last time I did this. I was really proud of myself and at the end I got a medal. My dad was there at the end and he was proud of how I had done also. 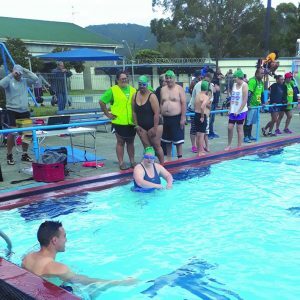 I am still doing swimming every week, and I would definitely do the TriAbility again, it was cool and I am excited about doing this again next year. 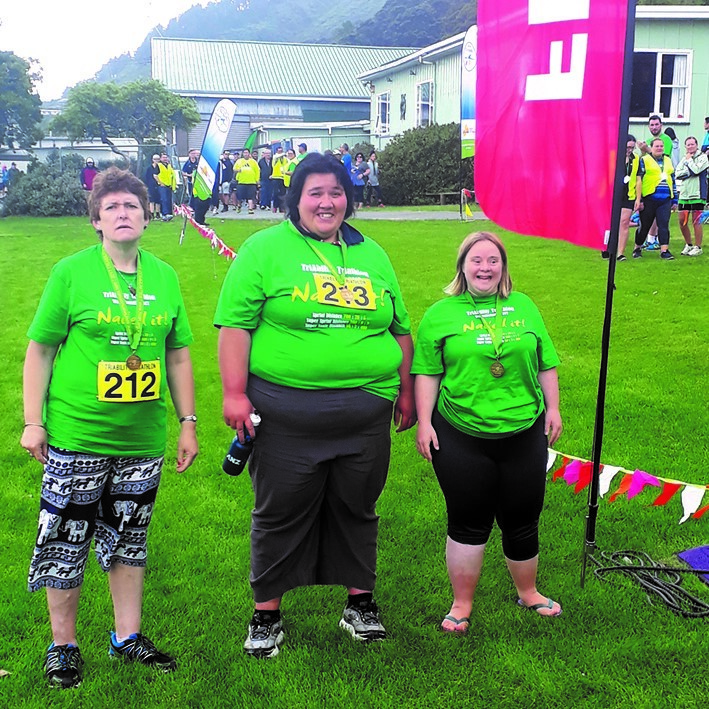 I enjoyed encouraging and supporting my team mates, Stacey and Allyson, to complete their events also. I was ready and raring to go after Lisa finished her swimming. I hopped on my bike and was supported by Wendy to ride 9 km. 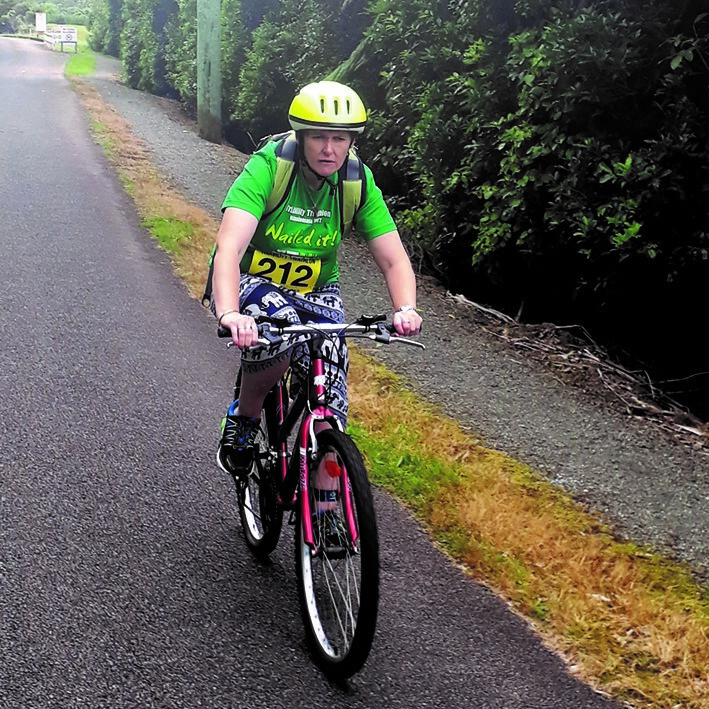 We rode out to the back of Wainuiomata and through a lovely reserve; it was beautiful and scenic. At the end of the ride we had to ride up a steep hill, which Wendy and I opted to walk up. 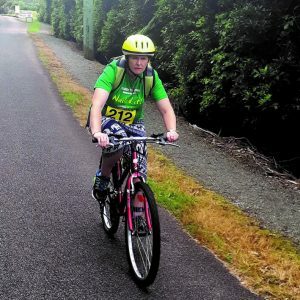 I was so proud of myself completing the biking leg of the TriAbility. I was worried that I might fall off my bike, but I didn’t, and I completed my ride in good time and did really well. I am very proud of myself and I am hoping that next year I may do the whole three events individually. I enjoyed being a part of the team with Allyson and Lisa, but I would like to try and give it a go and do this as an individual event next year. I was eagerly waiting at the starting line for Stacey to come back from her bike ride so that I could set off on my 3km walk. My dad and Wendy supported me by completing the walk with me. We walked along the street to the school and then turned around and walked back. The marshals along the way were supportive and encouraged me along. 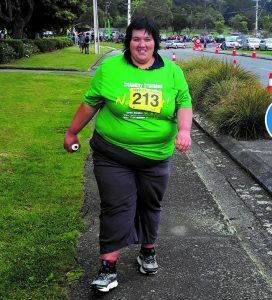 When I crossed over the finish line at the end I felt ecstatic, I was really proud that I had done it, Wahoo!!!! 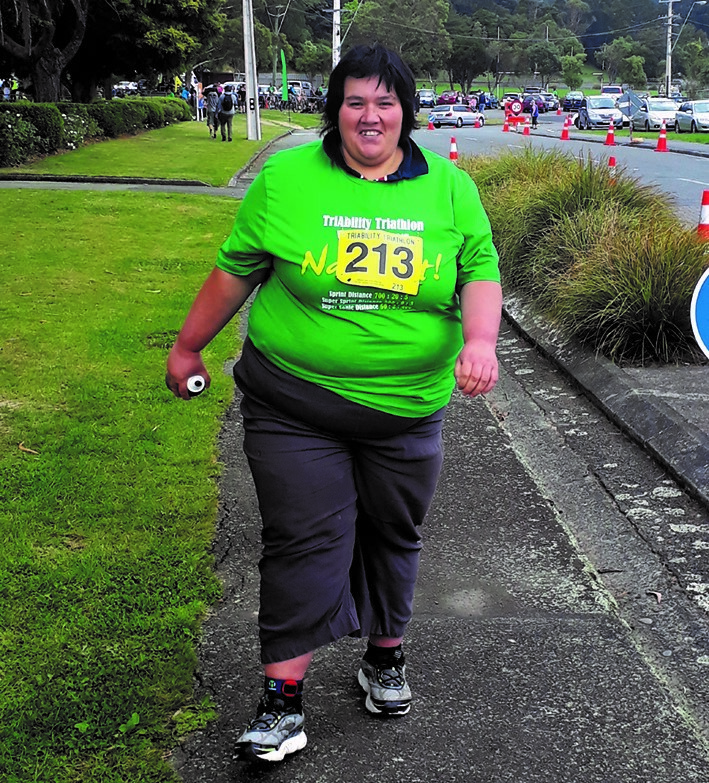 My mum, aunty and uncle were also there supporting me and met me at the finishing line – they were very proud of me. I would definitely do it again next year. I got a medal for my effort and, even better, I felt great doing it.